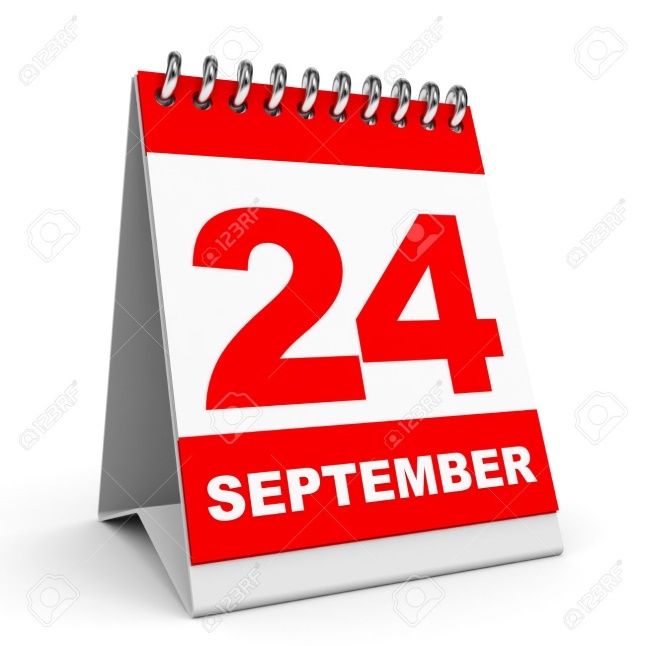 Did you know that September 24 is National Cherries Jubilee Day? Me neither. No surprises here, though, because I don’t really know anything about cherries jubilee, either. 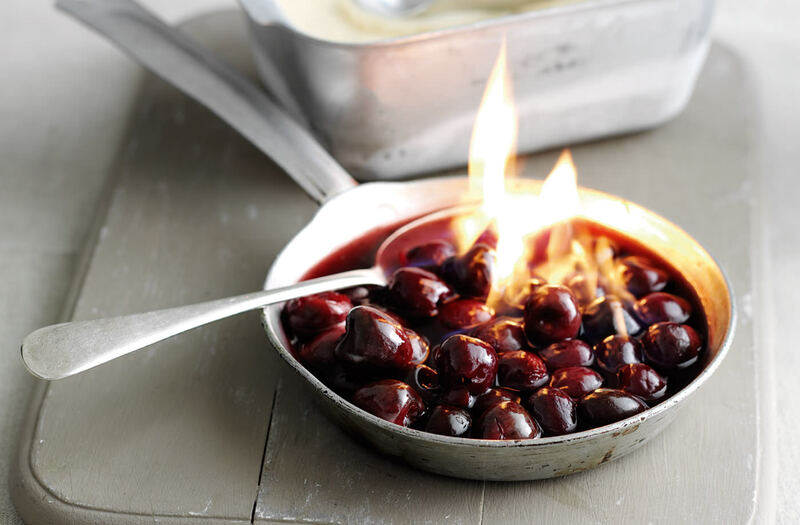 First of all, it’s a dessert sauce made from cherries and liquer, and flambéed (meaning you add alcohol to a hot pan to create a burst of flames) for a fancy presentation. Story has it that chef Auguste Escoffier prepared this dish back in the late 1800’s for Queen Victoria’s Jubilee celebration. Flambeeing food just takes practice; in other words, it’s not rocket science. Use a pan with shorter sides (such as one used for making crepes). Light the brandy with a long match. 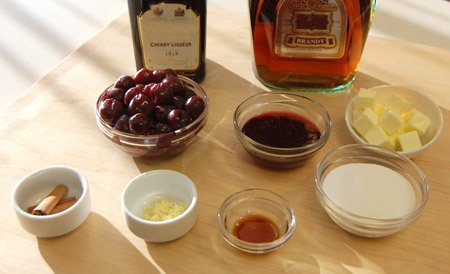 If you don’t want to use alcohol in the dish, cherry juice can be substituted for the cherry liqueur, and apple juice can be substituted for the brandy. However, if you decide to substitute for the alcohol, your dish won’t flame. It will still taste great, though! To begin, prepare all ingredients “mise en place.” This is a French phrase that basically means “everything in its place” and I’ve talked about this cooking technique in other articles. Setting out your ingredients before making a recipe really helps streamline the process, the recipe comes together much faster, and there’s much less stress when trying a new or complicated recipe. With all ingredients in place, melt the butter in a skillet over medium-high heat. After the butter is melted, add in the sugar. Continue cooking the butter and sugar mixture just until it starts to caramelize. You will be able to tell that it is ready once the sugar starts to brown a bit. Add the cherry juice and cinnamon stick pieces. Continue cooking until this mixture is reduced by about half. Next, add in the cherries, vanilla and lemon zest. Bring this mixture to a boil and then stir in the cherry liqueur. Add the brandy to the pan and keep shaking the pan back and forth, angling it slightly towards the burner. You can see the spark starting! And there we have it, flames. Bring on the ice cream! The sauce is now ready to be served. Traditionally, it is served over ice cream. Let me tell you though, I could probably just eat the sauce straight, it is that good. Now the recipe, courtesy of Land ‘O Lakes Butter®. This sauce takes only about 15 minutes to make. I plan to double or triple it so we’re sure to have plenty. 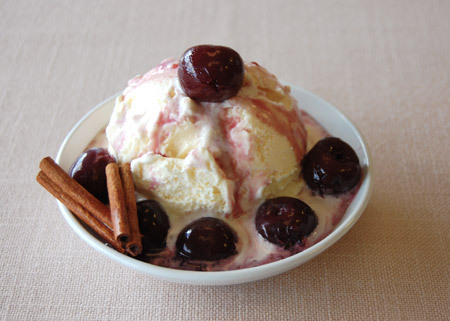 Let’s celebrate, starting with National Cherries Jubliee Day, and move on from there, in style! Melt butter in 10-inch skillet over medium-high heat; add sugar. Continue cooking, stirring constantly, 2-2 1/2 minutes or until mixture just begins to brown around edges. Add reserved cherry juice and cinnamon stick pieces. Continue cooking, stirring occasionally, 1-2 minutes or until mixture is reduced by half. 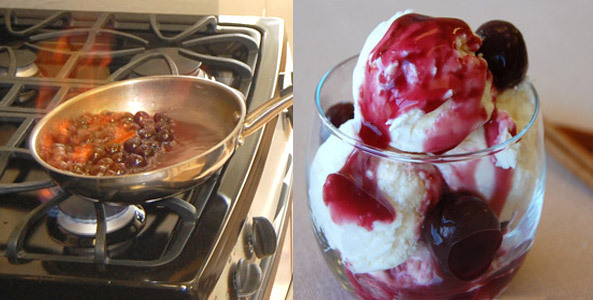 Place ice cream into individual bowls. 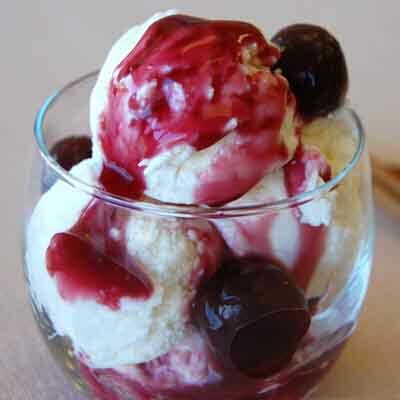 For each serving, spoon generous 2 tablespoons of cherries and sauce over ice cream.